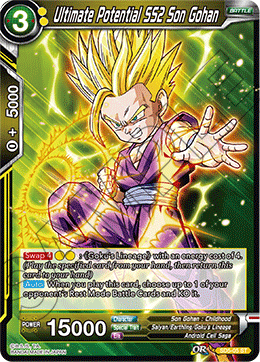 When your life is less than or equal to your opponent's life, this card gains +5000 power and (When this card inflicts damage to your opponent's life, they place that many cards in their Drop Area instead of their hand) during your turn. 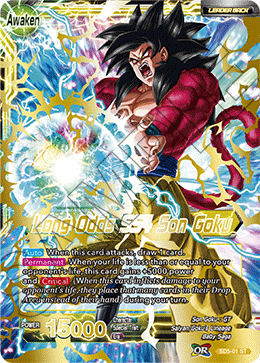 When this card attacks, you may draw 1 card. 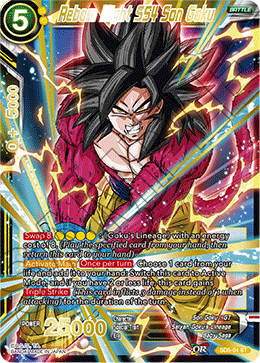 If you did not draw a card with this skill, this card gains (This card inflicts 2 damage instead of 1 when attacking) for the duration of the turn. 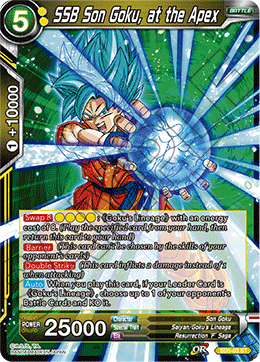 When you play this card, if your Leader Card is ≪Goku's Lineage≫, choose up to 1 of your opponent's Battle Cards and KO it. 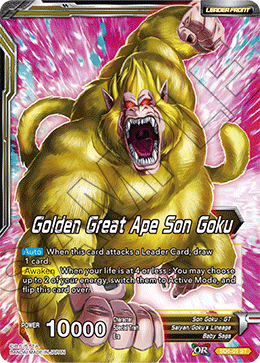 Choose 1 card from your life and add it to your hand: Switch this card to Active Mode, and if you have 2 or less life, this card gains (This card inflicts 3 damage instead of 1 when attacking) for the duration of the turn. 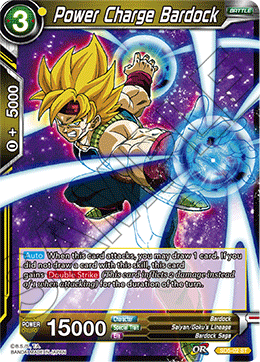 When you play this card, choose up to 1 of your opponent's Rest Mode Battle Cards and KO it.